Some sewing has been happening! O.K. so I have a hard time finding shorts and skirts that are both comfortable and flattering so I usually resort to jeans in the summer which seems illogical but usually I just don’t have the time/energy/motivation to do anything about it. But not this summer! I randomly was in an antiques store over Easter weekend and I bought my first vintage pattern! 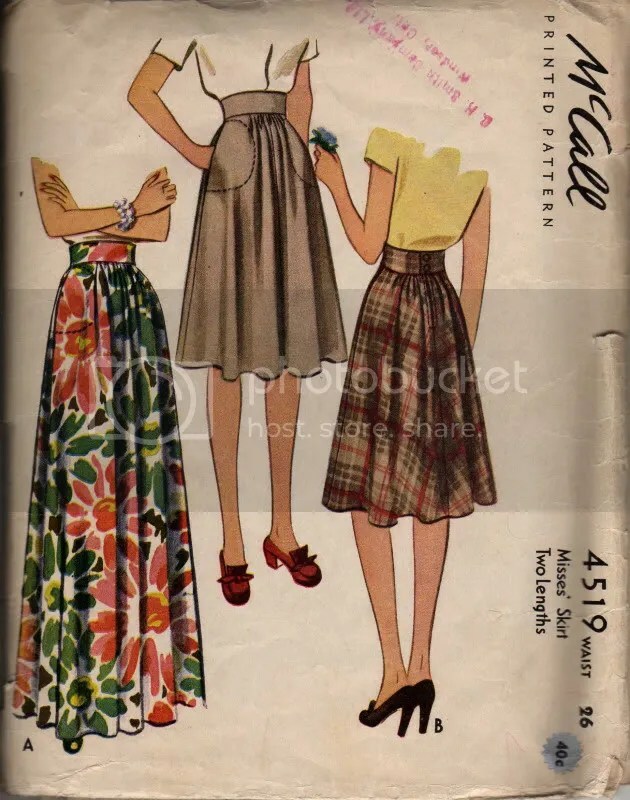 It’s from 1941, a really simple skirt. It’s not in my size but it was simple enough that scaling it up should be easy right? Well it worked fine for the back, not so much for the front, thus the additional panel you see in the image below. 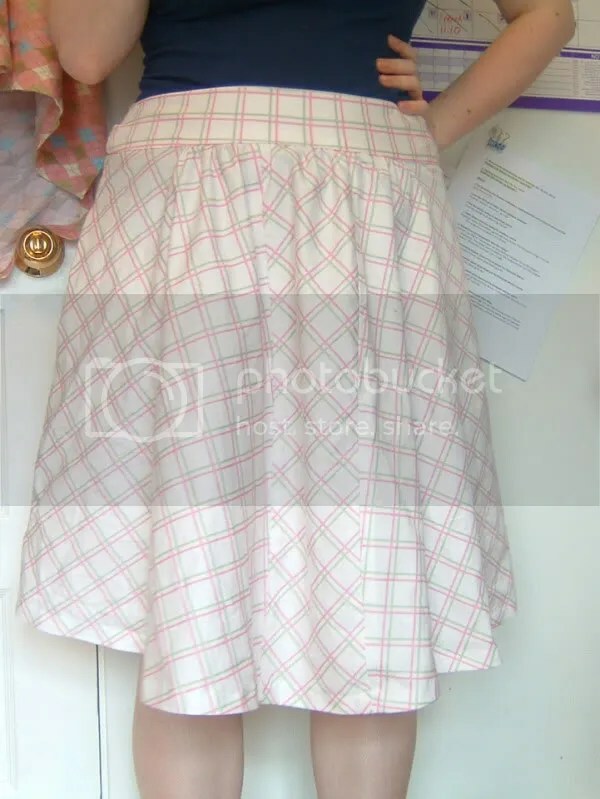 I am also not nearly as willowy waisted as a proper 1940’s girl so I shifted the skirt down from the natural waist to my hips, adding shape to the waistband in the process. I think it turned out pretty cute, and it has pockets! And cute buttons in the back, see the buttons??? 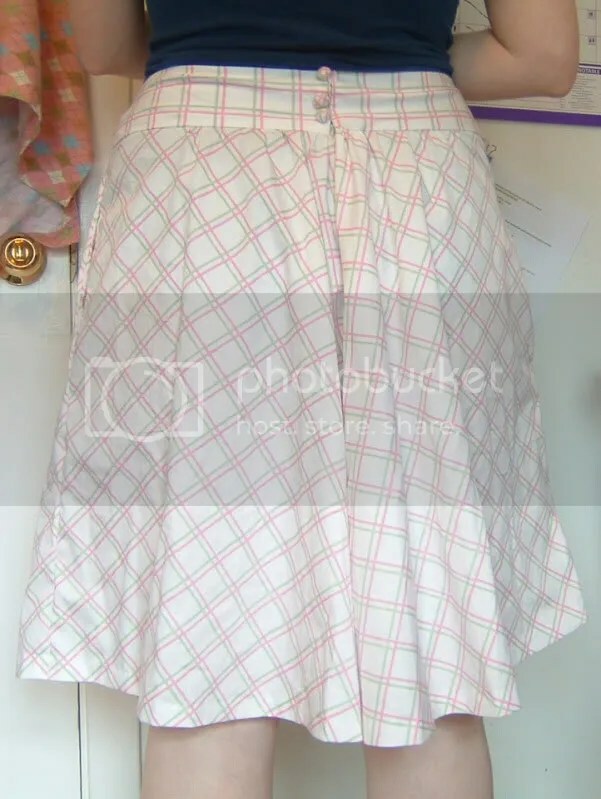 I’ve got plans for another summer dress in a cutsie white swiss dot that I hope won’t turn out tooo garden-partyish. I want just a smidge of garden party! I’ll probably modify this pattern and add sleeves. I’ve made this before and it fits me well and is super comfortable. In historical sewing news… remember this? Well I’ve finally slapped together a skirt for it and am in the process of trimming it. 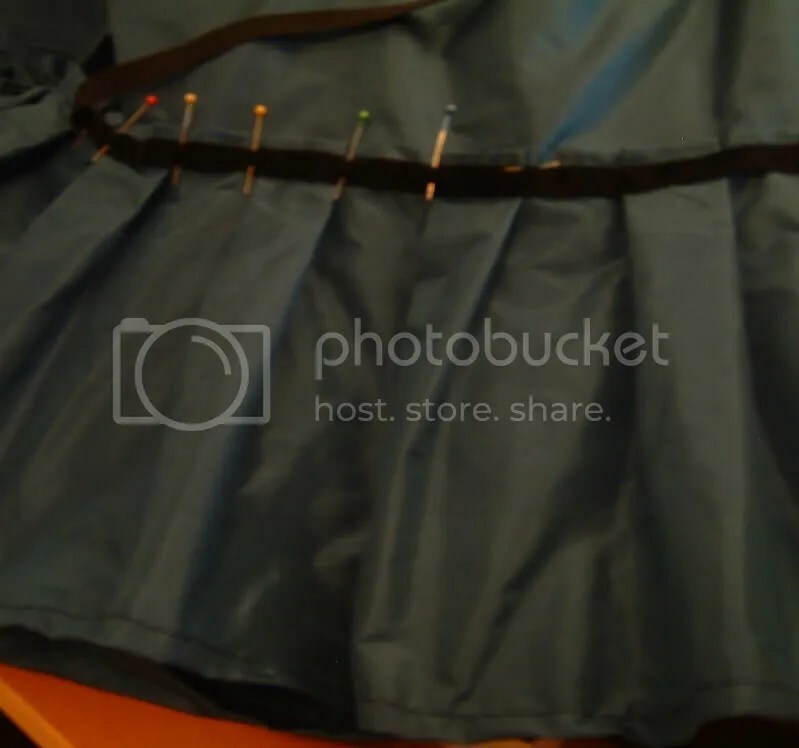 As you can see I’m handsewing some black velvet ribbon along the pleats. Yay dresses! Yay skirts! Yay summer!! I think I still owe Alison a dress from like 6 years ago hahaha….